SAMUEL MARSDEN BROOKES (1816-1892) Painter. Born on March 8, 1816 in Newington Green, Middlesex, England. After immigrating with his family to the U.S. in 1833, Brookes settled near Chicago which was then only a small frontier town. There he received his first and only art instruction from two migrant artists in 1841. The years 1845 and 1846 were spent in England copying pictures at the National Gallery and Hampton Court Palace. He moved to San Francisco in 1862 and spent the last 30 years of his life there. Brookes was a founder of both the Bohemian Club and the San Francisco Art Association, and served as first vice-president of the latter. 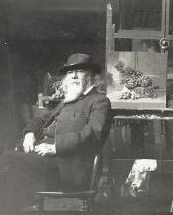 While maintaining a home in the Mission District at 34 Prospect Street, he gave art lessons in his studio at 611 Clay Street which he shared with his close friend Edwin Deakin. Brookes enjoyed great financial success during his lifetime with his paintings commanding as much as $10,000 each from such patrons as E.B. Crocker and Mrs. Mark Hopkins. His early work in the Midwest was mostly portraits; however, in California he gained national renown for his still lifes of fish, flowers, fruit and birds. 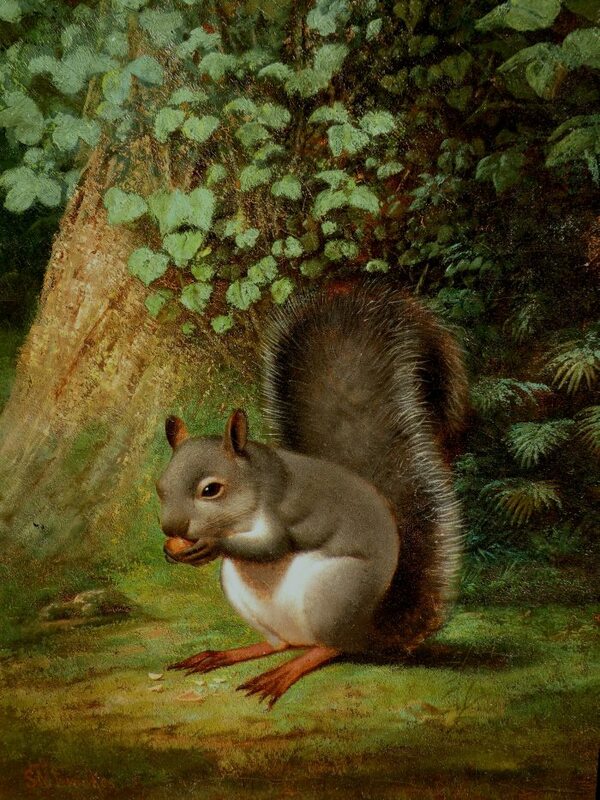 Considered to be the finest American still life specialist of the 19th century, his paintings are infinitely detailed and meticulously realistic. Brookes died in San Francisco on January 21, 1892. Works held: De Young Museum; California Historical Society; Brooklyn Museum; Wisconsin Historical Society; Crocker Museum; Oakland Museum; Nevada Museum; Society of California Pioneers.